This is “Understanding Network Effects”, chapter 5 from the book Getting the Most Out of Information Systems: A Manager's Guide (v. 1.0). For details on it (including licensing), click here. Recognize products and services that are subject to network effects. Understand the factors that add value to products and services subject to network effects. Network effectsAlso known as Metcalfe’s Law, or network externalities. When the value of a product or service increases as its number of users expands. are sometimes referred to as “Metcalfe’s Law” or “Network Externalities.” But don’t let the dull names fool you—this concept is rocket fuel for technology firms. Bill Gates leveraged network effects to turn Windows and Office into virtual monopolies and in the process became the wealthiest man in America. Mark Zuckerberg of Facebook, Pierre Omidiyar of eBay, Caterina Fake and Stewart Butterfield of Flickr, Kevin Rose of Digg, Evan Williams and Biz Stone of Twitter, Chris DeWolfe and Tom Anderson—the MySpace guys—all of these entrepreneurs have built massive user bases by leveraging the concept. When network effects are present, the value of a product or service increases as the number of users grows. Simply, more users = more value. Of course, most products aren’t subject to network effects—you probably don’t care if someone wears the same socks, uses the same pancake syrup, or buys the same trash bags as you. But when network effects are present they’re among the most important reasons you’ll pick one product or service over another. You may care very much, for example, if others are part of your social network, if your video game console is popular, if the Wikipedia article you’re referencing has had prior readers. And all those folks who bought HD-DVD players sure were bummed when the rest of the world declared Blu-ray the winner. In each of these examples, network effects are at work. The term “network” sometimes stumps people when first learning about network effects. In this context, a network doesn’t refer to the physical wires or wireless systems that connect pieces of electronics. It just refers to a common user base that is able to communicate and share with one another. So Facebook users make up a network. So do owners of Blu-ray DVD players, traders that buy and sell stock over the NASDAQ, or the sum total of hardware and outlets that support the BS 1363 electrical standard. Network effects are among the most powerful strategic resources that can be created by technology-based innovation. Many category-dominating organizations and technologies owe their success to network effects, including Microsoft, Apple, NASDAQ, eBay, Facebook, and Visa. Network effects are also behind the establishment of most standards, including Blu-ray DVD, wi-fi, and Bluetooth. What are network effects? What are the other names for this concept? List several products or services subject to network effects. What factors do you believe helped each of these efforts achieve dominance? Which firm do you suspect has stronger end-user network effects: Google’s online search tool or Microsoft’s Windows operating system? Why? Network effects are often associated with technology, but tech isn’t a prerequisite for the existence of network effects. Name a product, service, or phenomenon that is not related to information technology that still dominates due to network effects. 5.2 Where’s All That Value Come From? Identify the three primary sources of value for network effects. Recognize factors that contribute to the staying power and complementary benefits of a product or service subject to network effects. Understand how firms like Microsoft and Apple each benefit from strong network effects. The value derived from network effects comes from three sources: exchange, staying power, and complementary benefits. Facebook for one person isn’t much fun, and the first guy in the world with a fax machine doesn’t have much more than a paperweight. But as each new Facebook friend or fax user comes online, a network becomes more valuable because its users can potentially communicate with more people. These examples show the importance of exchange in creating value. Every product or service subject to network effects fosters some kind of exchange. For firms leveraging technology, this might include anything you can represent in the ones and zeros of a data stream, such as movies, music, money, video games, and computer programs. And just about any standard that allows things to plug into one another, interconnect, or otherwise communicate will live or die based on its ability to snare network effects. Some people refer to network effects by the name Metcalfe’s Law. It got this name when, toward the start of the dot-com boom, Bob Metcalfe (the inventor of the Ethernet networking standard) wrote a column in InfoWorld magazine stating that the value of a network equals its number of users squared. What do you think of this formula? Graph the law with vertical access labeled “value” and horizontal access labeled “users.” Do you think the graph is an accurate representation of what’s happening in network effects? If so, why? If not, what do you think the graph really looks like? Users don’t want to buy a product or sign up for a service that’s likely to go away, and a number of factors can halt the availability of an effort: a firm could go bankrupt, fail to attract a critical mass of user support, a rival may successfully invade its market and draw away current customers. Networks with greater numbers of users suggest a stronger staying powerThe long-term viability of a product or service.. The staying power, or long-term viability, of a product or service is particularly important for consumers of technology products. Consider that when someone buys a personal computer and makes a choice of Windows, Mac OS, or Linux, their investment over time usually greatly exceeds the initial price paid for the operating system. One invests in learning how to use a system, buying and installing software, entering preferences or other data, creating files—all of which mean that if a product isn’t supported anymore, much of this investment is lost. The concept of staying power (and the fear of being stranded in an unsupported product or service) is directly related to switching costsThe cost a consumer incurs when moving from one product to another. It can involve actual money spent (e.g., buying a new product) as well as investments in time, any data loss, and so forth. (the cost a consumer incurs when moving from one product to another) and switching costs can strengthen the value of network effects as a strategic asset. The higher the value of the user’s overall investment, the more they’re likely to consider the staying power of any offering before choosing to adopt it. Similarly, the more a user has invested in a product, the less likely he or she is to leave. Switching costs also go by other names. You might hear the business press refer to products (particularly Web sites) as being “sticky” or creating “friction.” Others may refer to the concept of “lock-in.” And the elite Boston Consulting Group is really talking about a firm’s switching costs when it refers to how well a company can create customers who are “barnacles” (that are tightly anchored to the firm) and not “butterflies” (that flutter away to rivals). The more friction available to prevent users from migrating to a rival, the greater the switching costs. And in a competitive market where rivals with new innovations show up all the time, that can be a very good thing! How Important Are Switching Costs to Microsoft? Comments from a Microsoft General Manager in a memo to Bill GatesM. Parsons, “Microsoft: ‘We’d Have Been Dead a Long Time Ago without Windows APIs,” ZDNet UK, April 22, 2004, http://news.zdnet.co.uk/software/0,1000000121,39152686,00.htm. Complementary benefitsProducts or services that add additional value to the primary product or service that makes up a network. are those products or services that add additional value to the network. These products might include “how-to” books, software add-ons, even labor. You’ll find more books on auctioning over eBay, more virtual storefronts in Second Life, and more accountants that know Excel, than on any of their rivals. Why? Book authors, Second Life partners, and accountants invest their time where they’re likely to reach the biggest market and get the greatest benefit. In auctions, virtual worlds, and spreadsheet software, eBay, Second Life, and Excel each dwarf their respective competition. Products and services that encourage others to offer complementary goods are sometimes called platformsProducts and services that allow for the development and integration of software products and other complementary goods. Windows, the iPhone, the Wii, and the standards that allow users to create Facebook apps are all platforms..T. Eisenmann, G. Parker, and M. Van Alstyne, “Strategies for Two-Sided Markets,” Harvard Business Review, October 2006. Allowing other firms to contribute to your platform can be a brilliant strategy, because those firms will spend their time and money to enhance your offerings. Consider the billion-dollar hardware ecosystem that Apple has cultivated around the iPod. There are over ninety brands selling some 280 models of iPod speaker systems.S. Hansell, “The iPod Economy and C.E.S.,” New York Times, January 7, 2008. Thirty-four auto manufacturers now trumpet their cars as being iPod-ready, many with in-car docking stations and steering wheel iPod navigation systems. Each add-on enhances the value of choosing an iPod over a rival like the Microsoft Zune. And now with the App Store for the iPhone and iPod Touch, Apple is doing the same thing with software add-ons. In less than a year after its introduction, the iTunes App store boasted over fifty thousand applications, collectively downloaded over one billion times. 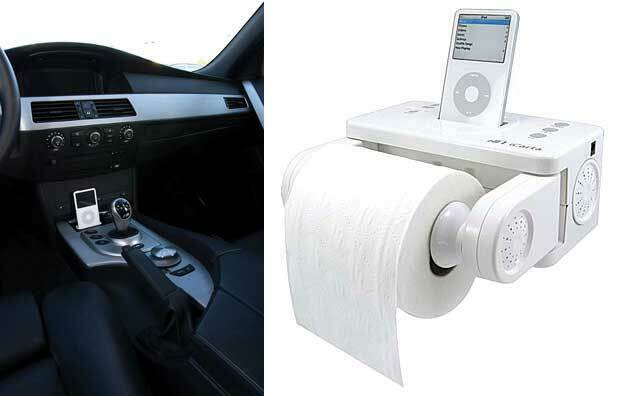 Products built to work with the iPod range from automobiles to the iCarta toilet paper holder. Apple offers certification programs, where developers of accessories for the iPod and iPhone that meet certain guidelines can use the depicted logo. Each of these third-party products potentially enhances the value of owning an Apple product, while each logo serves as an additional advertisement for Apple. 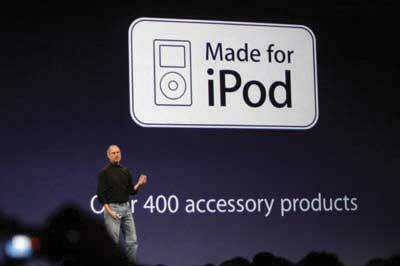 Apple even receives a royalty from firms that use the “Made for iPod” logo in advertisements and on product packaging. These three value-adding sources—exchange, staying power, and complementary benefits—often work together to reinforce one another in a way that makes the network effect even stronger. When users exchanging information attract more users, they can also attract firms offering complementary products. When developers of complementary products invest time writing software—and users install, learn, and customize these products—switching costs are created that enhance the staying power of a given network. From a strategist’s perspective this can be great news for dominant firms in markets where network effects exist. The larger your network, the more difficult it becomes for rivals to challenge your leadership position. Products and services subject to network effects get their value from exchange, perceived staying power, and complementary products and services. Tech firms and services that gain the lead in these categories often dominate all rivals. Many firms attempt to enhance their network effects by creating a platform for the development of third-party products and services that enhance the primary offering. What are the factors that contribute to the value created by network effects? Why is staying power particularly important to many technology products and services? Think about the kinds of technology products that you own that are subject to network effects. What sorts of exchange do these products leverage (e.g., information, money, software, or other media)? Think about the kinds of technology projects you own. What sorts of switching costs are inherent in each of these? Are these strong switching costs or weak switching costs? What would it take for you to leave one of these services and use a rival? How might a competitor try to lessen these switching costs to persuade you to adopt their product? Which other terms are sometimes used to describe the phenomenon of switching costs? Think about the kinds of technology products that you own that are subject to network effects. What sorts of complementary benefits are available for these products? Are complementary benefits strong or weak (meaning, do people choose the product primarily based on these benefits, or for some other reason)? Identify firms that you believe have built a strong platform. Can you think of firms that have tried to develop a platform, but have been less successful? Why do you suppose they have struggled? 5.4 How Are These Markets Different? Understand how competition in markets where network effects are present differ from competition in traditional markets. Understand the reasons why it is so difficult for late-moving, incompatible rivals to compete in markets where a dominant, proprietary standard is present. When network effects play a starring role, competition in an industry can be fundamentally different than in conventional, nonnetwork industries. First, network markets experience early, fierce competition. The positive-feedback loop inherent in network effects—where the biggest networks become even bigger—causes this. Firms are very aggressive in the early stages of these industries because once a leader becomes clear, bandwagons form, and new adopters begin to overwhelmingly favor the leading product over rivals, tipping the market in favor of one dominant firm or standard. This tipping can be remarkably swift. Once the majority of major studios and retailers began to back Blu-ray over HD-DVD, the latter effort folded within weeks. These markets are also often winner-take-all or winner-take-most, exhibiting monopolistic tendencies where one firm dominates all rivals. Look at all of the examples listed so far—in nearly every case the dominant player has a market share well ahead of all competitors. When, during the U.S. Microsoft antitrust trial, Judge Thomas Penfield Jackson declared Microsoft to be a monopolyA market where there are many buyers but only one dominant seller. (a market where there are many buyers but only one dominant seller), the collective response should have been “of course.” Why? The natural state of a market where network effects are present (and this includes operating systems and Office software) is for there to be one major player. Since bigger networks offer more value, they can charge customers more. Firms with a commanding network effects advantage may also enjoy substantial bargaining power over partners. For example, Apple, which controls over 75 percent of digital music sales, for years was able to dictate song pricing, despite the tremendous protests of the record labels.B. Barnes, “NBC Will Not Renew iTunes Contract,” New York Times, August 31, 2007. In fact, Apple’s stranglehold was so strong that it leveraged bargaining power even though the “Big Four” record labels (Universal, Sony, EMI, and Warner) were themselves an oligopolyA market dominated by a small number of powerful sellers. (a market dominated by a small number of powerful sellers) that together provide over 85 percent of music sold in the United States. Finally, it’s important to note that the best product or service doesn’t always win. PlayStation 2 dominated the video console market over the original Xbox, despite the fact that nearly every review claimed the Xbox was hands-down a more technically superior machine. Why were users willing to choose an inferior product (PS2) over a superior one (Xbox)? The power of network effects! PS2 had more users, which attracted more developers offering more games. Figure 5.3 Battling a leader with network effects is tough.Adapted from J. Gallaugher and Y. Wang, “Linux vs. Windows in the Middle Kingdom: A Strategic Valuation Model for Platform Competition” (paper, Proceedings of the 2008 Meeting of Americas Conference on Information Systems, Toronto, CA, August 2008), extending M. Schilling, “Technological Leapfrogging: Lessons from the U.S. Video Game Console Industry,” California Management Review, Spring 2003. This last note is a critical point to any newcomer wishing to attack an established rival. Winning customers away from a dominant player in a network industry isn’t as easy as offering a product or service that is better. 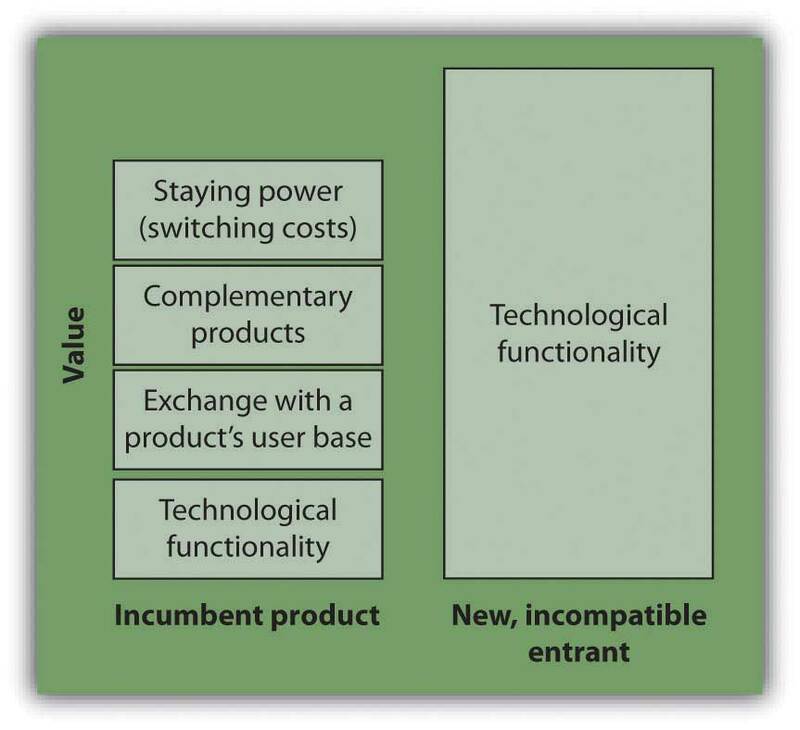 Any product that is incompatible with the dominant network has to exceed the value of the technical features of the leading player, plus (since the newcomer likely starts without any users or third-party product complements) the value of the incumbent’s exchange, switching cost, and complementary product benefit (see Figure 5.3 "Battling a leader with network effects is tough."). And the incumbent must not be able to easily copy any of the newcomer’s valuable new innovations; otherwise the dominant firm will quickly match any valuable improvements made by rivals. As such, technological leap-froggingCompeting by offering a new technology that is so superior to existing offerings that the value overcomes the total resistance that older technologies might enjoy via exchange, switching cost, and complementary benefits., or competing by offering a superior generation of technology, can be really tough.M. Schilling, “Technological Leapfrogging: Lessons from the U.S. Video Game Console Industry,” California Management Review, Spring 2003. Is This Good for Innovation? Critics of firms that leverage proprietary standards for market dominance often complain that network effects are bad for innovation. But this statement isn’t entirely true. While network effects limit competition against the dominant standard, innovation within a standard may actually blossom. Consider Windows. Microsoft has a huge advantage in the desktop operating system market, so few rivals try to compete with it. Apple and the open-source Linux are the firm’s only credible rivals, and both have tiny market shares. But the dominance of Windows is a magnet for developers to innovate within the standard. Programmers with novel ideas are willing to make the investment in learning to write software for Windows because they’re sure that a Windows version can be used by the overwhelming majority of computer users. By contrast, look at the mess in the mobile phone market. With so many different handsets offering different screen sizes, running different software, having different key layouts, and working on different carrier networks, writing a game that’s accessible by the majority of users is nearly impossible. Glu Mobile, a maker of online games, launched fifty-six reengineered builds of Monopoly to satisfy the diverse requirements of just one telecom carrier.N. Hutheesing, “Answer Your Phone, a Videogame Is Calling,” Forbes, August 8, 2006. As a result, entrepreneurs with great software ideas for the mobile market are deterred because writing, marketing, and maintaining multiple product versions is both costly and risky. Unseating a firm that dominates with network effects can be extremely difficult, especially if the newcomer is not compatible with the established leader. Newcomers will find their technology will need to be so good that it must leapfrog not only the value of the established firm’s tech, but also the perceived stability of the dominant firm, the exchange benefits provided by the existing user base, and the benefits from any product complements. For evidence, just look at how difficult it’s been for rivals to unseat the dominance of Windows. Because of this, network effects might limit the number of rivals that challenge a dominant firm. But the establishment of a dominant standard may actually encourage innovation within the standard, since firms producing complements for the leader have faith the leader will have staying power in the market. How is competition in markets where network effects are present different from competition in traditional markets? What are the reasons it is so difficult for late-moving, incompatible rivals to compete in markets where a dominant, proprietary standard is present? What is technological leap-frogging and why is it so difficult to accomplish? Does it make sense to try to prevent monopolies in markets where network effects exist? Are network effects good or bad for innovation? Explain. What is the relationship between network effects and the bargaining power of participants in a network effects “ecosystem’? Cite examples where the best technology did not dominate a network effects-driven market. Plot strategies for competing in markets where network effects are present, both from the perspective of the incumbent firm and the new market entrant. Give examples of how firms have leveraged these strategies to compete effectively. Why do you care whether networks are one-sided, two-sided, or some sort of hybrid? Well, when crafting your plan for market dominance, it’s critical to know if network effects exist, how strong they might be, where they come from, and how they might be harnessed to your benefit. Here’s a quick rundown of the tools at your disposal when competing in the presence of network effects. Expand by redefining the market to bring in new categories of users (Nintendo Wii) or through convergence (iPhone). Encourage the development of complementary goods—this can include offering resources, subsidies, reduced fees, market research, development kits, venture capital (Facebook fbFund). In the world of network effects, this is a biggie. Being first allows your firm to start the network effects snowball rolling in your direction. In Japan, worldwide auction leader eBay showed up just five months after Yahoo! but was never able to mount a credible threat and ended up pulling out of the market. Being just five months late cost eBay billions in lost sales, and the firm eventually retreated, acknowledging it could never unseat Yahoo!’s network effects lead. Another key lesson from the loss of eBay Japan? Exchange depends on the ability to communicate! eBay’s huge network effects in the United States and elsewhere didn’t translate to Japan because most Japanese aren’t comfortable with English, and most English speakers don’t know Japanese. The language barrier made Japan a “greenfield” market with no dominant player, and Yahoo!’s early move provided the catalyst for victory. Timing is often critical in the video game console wars, too. Sony’s PlayStation 2 enjoyed an eighteen-month lead over the technically superior Xbox (as well as Nintendo’s Game Cube). That time lead helped to create what for years was the single most profitable division at Sony. By contrast, the technically superior PS3 showed up months after Xbox 360 and at roughly the same time as the Nintendo Wii, and has struggled in its early years, racking up multibillion-dollar losses for Sony.C. Null, “Sony’s Losses on PS3: $3 Billion and Counting,” Yahoo! Today in Tech, June 27, 2008, http://tech.yahoo.com/blogs/null/96355. What If Microsoft Threw a Party and No One Showed Up? Microsoft launched the Zune media player with features that should be subject to network effects—the ability to share photos and music by wirelessly “squirting” content to other Zune users. The firm even promoted Zune with the tagline “Welcome to the Social.” Problem was the Zune Social was a party no one wanted to attend. The late-arriving Zune garnered a market share of just 3 percent, and users remained hard pressed to find buddies to leverage these neat social features.R. Walker, “AntiPod,” New York Times, August 8, 2008. A cool idea does not make a network effect happen. Starting a network effect can be tough—there’s little incentive to join a network if there’s no one in the system to communicate with. In one admittedly risky strategy, firms may offer to subsidize initial adoption in hopes that network effects might kick in shortly after. Subsidies to adopters might include a price reduction, rebate, or other giveaways. PayPal, a service that allows users to pay one another using credit cards, gave users a modest rebate as a sign-up incentive to encourage adoption of its new effort (in one early promotion, users got back fifteen dollars when spending their first thirty dollars). This brief subsidy paid to early adopters paid off handsomely. eBay later tried to enter the market with a rival effort, but as a late mover its effort was never able to overcome PayPal’s momentum. PayPal was eventually purchased by eBay for $1.5 billion, and the business unit is now considered one of eBay’s key drivers of growth and profit. Subsidizing adoption after a rival has achieved dominance can be an uphill battle, and sometimes even offering a service for free isn’t enough to combat the dominant firm. When Yahoo! introduced a U.S. auction service to compete with eBay, it initially didn’t charge sellers at all (sellers typically pay eBay a small percentage of each competed auction). The hope was that with the elimination of seller fees, enough sellers would jump from eBay to Yahoo! helping the late-mover catch up in the network effect game. But eBay sellers were reluctant to leave for two reasons. First, there weren’t enough buyers on Yahoo! to match the high bids they earned on much-larger eBay. Some savvy sellers played an arbitrage game where they’d buy items on Yahoo!’s auction service at lower prices and resell them on eBay, where more users bid prices higher. Second, any established seller leaving eBay would give up their valuable “seller ratings,” and would need to build their Yahoo! reputation from scratch. Seller ratings represent a critical switching cost, as many users view a high rating as a method for reducing the risk of getting scammed or receiving lower-quality goods. Auctions work best for differentiated goods. While Amazon has had some success in peeling away eBay sellers who provide commodity products (a real danger as eBay increasingly relies on fixed-price sales), eBay’s dominant share of the online auction market still towers over all rivals.B. Stone, “Amid the Gloom, an E-commerce War,” New York Times, October 12, 2008. While there’s no magic in the servers used to create eBay, the early use of technology allowed the firm to create both network effects and switching costs—a dual strategic advantage that has given it a hammerlock on auctions even as others have attempted to mimic its service and undercut its pricing model. Since all products and services foster some sort of exchange, it’s often possible to leverage a firm’s customers to promote the product or service. Internet calling service Skype has over 300 million registered users yet has spent almost nothing on advertising. Most Skype users were recruited by others who shared the word on free and low-cost Internet calls. Within Facebook, feeds help activities to spread virally (see Chapter 7 "Facebook: Building a Business from the Social Graph"). Feeds blast updates on user activities on the site, acting as a catalyst for friends to join groups and load applications that their buddies have already signed up for. If a big market attracts more users (and in two-sided markets, more complements), why not redefine the space to bring in more users? Nintendo did this when launching the Wii. While Sony and Microsoft focused on the graphics and raw processing power favored by hard-core male gamers, Nintendo chose to develop a machine to appeal to families, women, and age groups that normally shunned alien shoot ’em ups. By going after a bigger, redefined market, Nintendo was able to rack up sales that exceeded the Xbox 360, even though it followed the system by twelve months.M. Sanchanta, “Nintendo’s Wii Takes Console Lead,” Financial Times, September 12, 2007. Reggie Fils-Aimé, the President of Nintendo of America, describes the Wii Strategy as a Blue Ocean effort.R. Fils-Aimé (presentation and discussion, Carroll School of Management, Boston College, Chestnut Hill, MA, April 6, 2009). The concept of blue ocean strategyAn approach where firms seek to create and compete in uncontested “blue ocean” market spaces, rather than competing in spaces and ways that have attracted many, similar rivals. was popularized by European Institute of Business Administration (INSEAD) professors W. Chan Kim and Renée Mauborgne (authors of a book with the same title).W. C. Kim and R. Mauborgne, Blue Ocean Strategy: How to Create Uncontested Market Space and Make Competition Irrelevant (Cambridge, MA: Harvard Business Press, 2005). See http://www.blueoceanstrategy.com. The idea—instead of competing in blood-red waters where the sharks of highly competitive firms vie for every available market scrap, firms should seek the blue waters of uncontested, new market spaces. For Nintendo, the granny gamers, moms, and partygoers who flocked to the Wii represented an undiscovered feast in the Blue Ocean. Talk about new markets! Consider that the best-selling video game at the start of 2009 was Wii Fit—a genre-busting title that comes with a scale so you can weigh yourself each time you play! That’s a far cry from Grand Theft Auto IV, the title ranking fifth in 2008 sales, and trailing four Wii-only exclusives. Blue ocean strategy often works best when combined with strategic positioning described in Chapter 2 "Strategy and Technology". If an early mover into a blue ocean can use this lead to create defensible assets for sustainable advantage, late moving rivals may find markets unresponsive to their presence. Market expansion sometimes puts rivals who previously did not compete on a collision course as markets undergo convergenceWhen two or more markets, once considered distinctly separate, begin to offer features and capabilities. As an example: the markets for mobile phones and media players are converging. (when two or more markets, once considered distinctly separate, begin to offer similar features and capabilities). Consider the market for portable electronic devices. Separate product categories for media players, cameras, gaming devices, phones, and global positioning systems (GPS) are all starting to merge. Rather than cede its dominance as a media player, Apple leveraged a strategy known as envelopmentWhen one market attempts to conquer a new market by making it a subset, component, or feature of its primary offering., where a firm seeks to make an existing market a subset of its product offering. Apple deftly morphed the iPod into the iPhone, a device that captures all of these product categories in one device. But the firm went further; the iPhone is wi-fi capable, offers browsing, e-mail, and an application platform based on a scaled-down version of the same OS X operating system used in Macintosh computers. As a “Pocket Mac,” the appeal of the device broadened beyond just the phone or music player markets, and within two quarters of launch, iPhone become the second leading smart phone in North America—outpacing Palm, Microsoft, Motorola and every other rival, except RIM’s Blackberry.R. Kim, “iPhone No. 2 Smartphone Platform in North America,” The Tech Chronicles—The San Francisco Chronicle, December 17, 2007. Firms can also use partnerships to grow market share for a network. Sometimes these efforts bring rivals together to take out a leader. In a classic example, consider ATM networks. Citibank was the first major bank in New York City to offer a large ATM network. But the Citi network was initially proprietary, meaning customers of other banks couldn’t take advantage of Citi ATMs. Citi’s innovation was wildly popular and being a pioneer in rolling out cash machines helped the firm grow deposits fourfold in just a few years. Competitors responded with a partnership. Instead of each rival bank offering another incompatible network destined to trail Citi’s lead, competing banks agreed to share their ATM operations through NYCE (New York Cash Exchange). While Citi’s network was initially the biggest, after the NYCE launch a Chase bank customer could use ATMs at a host of other banks that covered a geography far greater than Citi offered alone. Network effects in ATMs shifted to the rival bank alliance, Citi eventually joined NYCE and today, nearly every ATM in the United States carries a NYCE sticker. Google has often pushed an approach to encourage rivals to cooperate to challenge a leader. Its Open Social standard for social networking (endorsed by MySpace, LinkedIn, Bebo, Yahoo! and others) is targeted at offering a larger alternative to Facebook’s more closed efforts (see Chapter 7 "Facebook: Building a Business from the Social Graph"), while its Android open source mobile phone operating system has gained commitments from many handset makers that collectively compete with Apple’s iPhone. Defensive moves like the ones above are often meant to diffuse the threat of a proprietary rival. Sometimes firms decide from the start to band together to create a new, more open standard, realizing that collective support is more likely to jumpstart a network than if one firm tried to act with a closed, proprietary offering. Examples of this include the coalitions of firms that have worked together to advance standards like Bluetooth and wi-fi. While no single member firm gains a direct profit from the sale of devices using these standards, the standard’s backers benefit when the market for devices expands as products become more useful because they are more interoperable. Firms can also think about novel ways to distribute a product or service to consumers. Sun faced a challenge when launching the Java programming language—no computers could run it. In order for Java to work, computers need a little interpreter program called the Java Virtual Machine (JVM). Most users weren’t willing to download the JVM if there were no applications written in Java, and no developers were willing to write in Java if no one could run their code. Sun broke the log jam when it bundled the JVM with Netscape’s browser. When millions of users downloaded Netscape, Sun’s software snuck in, almost instantly creating a platform of millions for would-be Java developers. Today, even though Netscape has failed, Sun’s Java remains one of the world’s most popular programming languages. Indeed, Java was cited as one of the main reasons for Oracle’s 2009 bid to acquire Sun, with Oracle’s CEO saying the language represented “the single most important software asset we have ever acquired.”A. Ricadela, “Oracle’s Bold Java Plans,” BusinessWeek, June 2, 2009. As mentioned in Chapter 2 "Strategy and Technology", Microsoft is in a particularly strong position to leverage this approach. The firm often bundles its new products into its operating systems, Office suite, Internet Explorer browser, and other offerings. The firm used this tactic to transform once market-leader Real Networks into an also-ran in streaming audio. Within a few years of bundling Windows Media Player (WMP) with its other products, WMP grabbed the majority of the market, while Real’s share had fallen to below 10 percent.BusinessWire, “Media Player Format Share for 2006 Confirms Windows Media Remains Dominant with a 50.8% Share of Video Streams Served, Followed by Flash at 21.9%—‘CDN Growth and Market Share Shifts: 2002–2006,’” December 18, 2006; and T. Eisenmann, G. Parker, and M. Van Alstyne, “Strategies for Two-Sided Markets,” Harvard Business Review, October 2006. Caution is advised, however. Some international regulatory efforts consider product bundling by dominant firms to be anticompetitive. European regulators have forced Microsoft to unbundle Windows Media Player from its operating system and to provide a choice of browsers alongside Internet Explorer. From October 2001 to March 2003, Microsoft’s bundling of Windows Media Player in versions of its operating system ensured that the software came preinstalled on nearly all of the estimated 207 million new PCs shipped during that period. By contrast, Real Networks’ digital media player was preinstalled on less than 2 percent of PCs. But here’s the kicker that got to regulators (and Real): Microsoft’s standard contract with PC manufacturers “prevented them not only from removing the Windows Media Player, but even [from] providing a desktop icon for Real Networks.”E. Hansen and D. Becker, “Real Hits Microsoft with $1 Billion Antitrust Suit,” CNET, December 18, 2003, http://news.cnet.com/Real-hits-Microsoft-with-1-billion-antitrust-suit/2100-1025_3-5129316.html; and T. Eisenmann, G. Parker, and M. Van Alstyne, “Strategies for Two-Sided Markets,” Harvard Business Review, October 2006. While network effects create monopolies, governments may balk at allowing a firm to leverage its advantages in ways that are designed to deliberately keep rivals from the market. When Sony launched the PS3, it subsidized each console by selling at a price estimated at three hundred dollars below unit cost.C. Null, “Sony’s Losses on PS3: $3 Billion and Counting,” Yahoo! Today in Tech, June 27, 2008, http://tech.yahoo.com/blogs/null/96355. Subsidizing consoles is a common practice in the video game industry—game player manufacturers usually make most of their money through royalties paid by game developers. But Sony’s subsidy had an additional benefit for the firm—it helped sneak a Blu-ray DVD player into every home buying a PS3. Since Sony is also a movie studio and manufacturer of DVD players and other consumer electronics, it had a particularly strong stake in encouraging the adoption of Blu-ray over rival HD-DVD. Giving away products for half of a two-sided market is an extreme example of this kind of behavior, but it’s often used. In two-sided markets, you charge the one who will pay. Adobe gives away the Acrobat reader to build a market for the sale of software that creates Acrobat files. Firms with Yellow Page directories give away countless copies of their products, delivered straight to your home, in order to create a market for selling advertising. And Google does much the same by providing free, ad-supported search. There are several ways to motivate others to create complementary goods for your network. These efforts often involve some form of developer subsidy or other free or discounted service. A firm may charge lower royalties or offer a period of royalty-free licensing. It can also offer free software development kits (SDKs), training programs, co-marketing dollars, or even startup capital to potential suppliers. Microsoft and Apple both allow developers to sell their products online through Xbox Live Marketplace and iTunes, respectively. This channel lowers developer expenses by eliminating costs associated with selling physical inventory in brick and mortar stores and can provide a free way to reach millions of potential consumers without significant promotional spending. Venture funds can also prompt firms to create complementary goods. Facebook announced it would spur development for the site in part by administering the fbFund, which initially pledged ten million dollars in startup funding (in allotments of up to $250,000 each) to firms writing applications for its platform. Those firms that control a standard would also be wise to ensure that new products have backward compatibilityThe ability to take advantage of complementary products developed for a prior generation of technology. with earlier offerings. If not, they reenter a market at installed-base zero and give up a major source of advantage—the switching costs built up by prior customers. For example, when Nintendo introduced its 16-bit S.N.E.S. system, it was incompatible with the firm’s highly successful prior generation 8-bit model. Rival Sega, which had entered the 16-bit market two years prior to Nintendo, had already built up a large library of 16-bit games for its system. Nintendo entered with only its debut titles, and no ability to play games owned by customers of its previous system, so there was little incentive for existing Nintendo fans to stick with the firm.M. Schilling, “Technological Leapfrogging: Lessons from the U.S. Video Game Console Industry,” California Management Review, Spring 2003. Backward compatibility was the centerpiece of Apple’s strategy to revitalize the Macintosh through its move to the Intel microprocessor. Intel chips aren’t compatible with the instruction set used by the PowerPC processor used in earlier Mac models. Think of this as two incomprehensible languages—Intel speaks French, PowerPC speaks Urdu. To ease the transition, Apple included a free software-based adaptorA product that allows a firm to tap into the complementary products, data, or user base of another product or service., called Rosetta, that automatically emulated the functionality of the old chip on all new Macs (a sort of Urdu to French translator). By doing so, all new Intel Macs could use the base of existing software written for the old chip; owners of PowerPC Macs were able to upgrade while preserving their investment in old software; and software firms could still sell older programs while they rewrote applications for new Intel-based Macs. Even more significant, since Intel is the same standard used by Windows, Apple developed a free software adaptor called Boot Camp that allowed Windows to be installed on Macs. Boot Camp (and similar solutions by other vendors) dramatically lowered the cost for Windows users to switch to Macs. Within two years of making the switch, Mac sales skyrocketed to record levels. Apple now boasts a commanding lead in notebook sales to the education market,P. Seitz, “An Apple for Teacher, Students: Mac Maker Surges in Education,” Investor’s Business Daily, August 8, 2008. and a survey by Yankee Group found that 87 percent of corporations were using at least some Macintosh computers, up from 48 percent at the end of the PowerPC era two years earlier.P. Burrows, “The Mac in the Gray Flannel Suit,” BusinessWeek, May 1, 2008. Companies will want to consider making new products compatible with the leading standard. Microsoft’s Live Maps and Virtual Earth 3D arrived late to the Internet mapping game. Users had already put in countless hours building resources that meshed with Google Maps and Google Earth. But by adopting the same keyhole markup language (KML) standard used by Google, Microsoft could, as TechCrunch put it, “drink from Google’s milkshake.” Any work done by users for Google in KML could be used by Microsoft. Voilà, an instant base of add-on content! Oftentimes firms that control dominant networks will make compatibility difficult for rivals who try to connect with their systems. America Online has been reluctant to open up its instant messaging tool to rivals, and Skype for years had been similarly closed to non-Skype clients. Firms that constantly innovate make it particularly difficult for competitors to become compatible. Again, we can look to Apple as an example of these concepts in action. While Macs run Windows, Windows computers can’t run Mac programs. Apple has embedded key software in Mac hardware, making it tough for rivals to write a software emulator like Boot Camp that would let Windows PCs drink from the Mac milkshake. And if any firm gets close to cloning Mac hardware, Apple sues. The firm also modifies software on other products like the iPhone and iTunes each time wily hackers tap into closed aspects of its systems. Even if firms create adaptors that emulate a standard, a firm that constantly innovates creates a moving target that’s tough for others to keep up with. Apple has been far more aggressive than Microsoft in introducing new versions of its software. Since the firm never stays still, would-be cloners never get enough time to create an emulator that runs the latest Apple software. Large firms that find new markets attractive but don’t yet have products ready for delivery might preannounce efforts in order to cause potential adaptors to sit on the fence, delaying a purchasing decision until the new effort rolls out. Preannouncements only work if a firm is large enough to pose a credible threat to current market participants. Microsoft, for example, can cause potential customers to hold off on selecting a rival because users see that the firm has the resources to beat most players (suggesting staying power). Statements from startups however often lack credibility to delay user purchases. The tech industry acronym for the impact firms try to impart on markets through preannouncements is FUD for fear, uncertainty, and doubt. Preannouncers beware. Announce an effort too early and a firm may fall victim to what’s known as “The Osborne EffectWhen a firm preannounces a forthcoming product or service and experiences a sharp and detrimental drop in sales of current offerings as users wait for the new item..” It’s been suggested that portable computer manufacturer Osborne Computer announced new models too early. Customers opted to wait for the new models, so sales of the firm’s current offerings plummeted. While evidence suggests that Osborne’s decline had more to do with rivals offering better products, the negative impact of preannouncements has hurt a host of other firms.A. Orlowski, “Taking Osborne out of the Osborne Effect,” The Register, June 20, 2005. Among these, Sega, which exited the video game console market entirely after preannouncements of a next-generation system killed enthusiasm for its Saturn console.M. Schilling, “Technological Leapfrogging: Lessons from the U.S. Video Game Console Industry,” California Management Review, Spring 2003. When network effects are present, more users attract more users. That’s a good thing as long as a firm can earn money from this virtuous cycle. But sometimes a network effect attracts too many users and a service can be so overwhelmed it becomes unusable. These so-called congestion effectsWhen increasing numbers of users lower the value of a product or service. occur when increasing numbers of users lower the value of a product or service. This most often happens when a key resource become increasingly scarce. Users of the game Ultima were disappointed in an early online version that launched without enough monsters to fight or server power to handle the crush of fans. Facebook users with a large number of friends may also find their attention is a limited resource, as feeds push so much content that it becomes difficult to separate interesting information from the noise of friend actions. And while network effects can attract positive complementary products, a dominant standard may also be the first place where virus writers and malicious hackers choose to strike. Feel confident! Now you’ve got a solid grounding in network effects, the key resource leveraged by some of the most dominant firms in technology. And these concepts apply beyond the realm of tech, too. Network effects can explain phenomena ranging from why some stock markets are more popular than others to why English is so widely spoken, even among groups of nonnative speakers. On top of that, the strategies explored in the last half of the chapter show how to use these principles to sniff out, create, and protect this key strategic asset. Go forth, tech pioneer—opportunity awaits! Moving early matters in network markets—firms that move early can often use that time to establish a lead in users, switching costs, and complementary products that can be difficult for rivals to match. Additional factors that can help a firm establish a network effects lead include subsidizing adoption; leveraging viral marketing, creating alliances to promote a product or to increase a service’s user base; redefining the market to appeal to more users; leveraging unique distribution channels to reach new customers; seeding the market with complements; encouraging the development of complements; and maintaining backward compatibility. Established firms may try to make it difficult for rivals to gain compatibility with their users, standards, or product complements. Large firms may also create uncertainty among those considering adoption of a rival by preannouncing competing products. Is market entry timing important for network effects markets? Explain and offer an example to back up your point. How might a firm subsidize adoption? Give an example. Give an example of a partnership or alliance targeted at increasing network effects. Is it ever advantageous for firms to give up control of a network and share it with others? Why or why not? Give examples to back up your point. Do firms that dominate their markets with network effects risk government intervention? Why or why not? Explain through an example. How did Sony seed the market for Blu-ray DVD players? What does backward compatibility mean and why is this important? What happens if a firm is not backward compatible? What tactic did Apple use to increase the acceptability of the Mac platform to a broader population of potential users? How has Apple kept clones at bay? What are preannouncements? What is the danger in announcing a product too early? What is the term for negative impacts from premature product announcements? How did PayPal subsidize adoption? Name two companies that leveraged viral promotion to compete. Name a product that is the result of the convergence of media players, cameras, and phones. What is bundling? What are the upsides and downsides of bundling? Why does Adobe allow the free download of Acrobat Reader? What tactic might an established firm employ to make it impossible, or at least difficult, for a competitor to gain access to, or become compatible with, their product or service? How do Apple, Microsoft, and Facebook encourage the development of complementary products? What is the “congestion effect”? Give an example. Do network effects apply in nontech areas? Give examples.